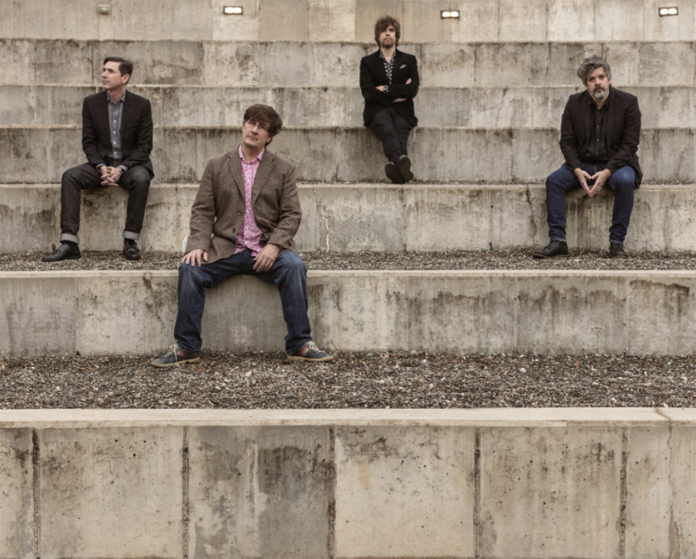 The Mountain Goats have announced a new album, In League With Dragons, and shared its first single, "Younger." In League With Dragons is due out April 26 via Merge. Listen to the new single below, followed by the album's tracklist and cover art. Also below are the band's upcoming tour dates. 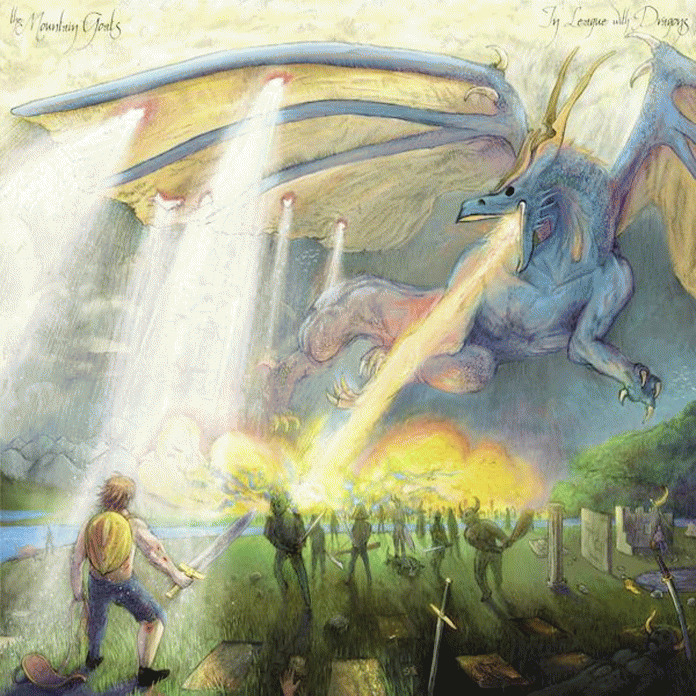 Darnielle had this to say about the album in a press release: "This album began life as a rock opera about a besieged seaside community called Riversend ruled by a benevolent wizard, for which some five to seven songs were written. When I'm focusing on a project, I always distract myself from the through-line with multiple byways, which are kind of like mini-games within the broader architecture of a long video game. As I worked on the Riversend stuff, weird noir visions started creeping in, probably under the influence of Leonardo Sciascia (a Sicilian author, he wrote mysteries) and Ross MacDonald's The Zebra-Striped Hearse, which a friend from Port Washington gave me while I was in the thick of the writing. I thought these moods helped complicate the wizards and dragons a little, and, as I thought about my wizard, his health failing, the invasion by sea almost certain to wipe out half his people, I thought about what such a person might look like in the real world: watching a country show at a Midwestern casino, or tryout pitching for an American League team years after having lit up the marquees. Finally, I wrote the title track, which felt like a drawing-together of the themes in play: rebellion against irresistible tides, the lush vistas of decay, necessary alliances. I am earnestly hoping that a new genre called 'dragon noir' will spring from the forehead of nearly two years' work on these songs, but, if not, I am content for this to be the sole example of the style." Darnielle will talk about the album and do a solo performance via a Facebook Live from Wizards of the Coast (makers of D&D and Magic: The Gathering) at 4 p.m. Eastern / 1 p.m. Pacific today. Check it out at The Mountain Goats' Facebook page. GarageBand is an incredibly popular Digital Audio Workstation (DAW) application developed by Apple Learn How to Download the latest version of GarageBand For Windows 7 PC or Laptop using Android Emulator. Check out incredibly GarageBand Features. GarageBand is an Apple Products.